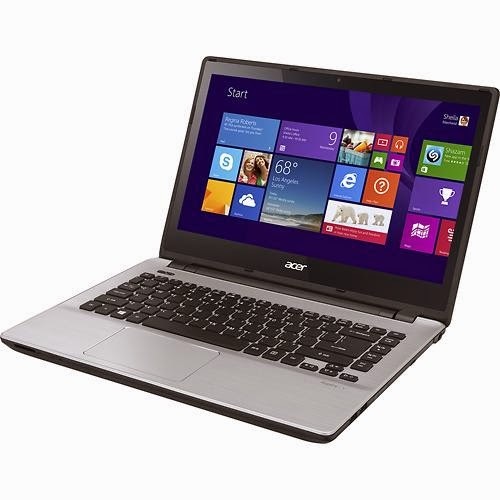 This Acer Aspire V3-472P-324J is another computing device that features ultra low voltage 4th generation Intel Core i3-4030U that features 3 MB Level 3 cache and runs at the clock speed of 1.8 GHz. Since it’s a Core i3 processor it does not support Turbo Boost technology. This ULV processor has an integrated graphics controller called Intel HD Graphics 4400 that feature 64 MB of dedicated video memory and Microsoft DirectX 11 technology which lets you play high definition movies and run older and not so demanding games with ease. Laptops with this CPU includes Dell Inspiron I35425000BK and Lenovo B50 -59423000. This Acer Aspire V3-472P-324J laptop is equipped with the following display specifications: 14 inches LED - backlit high - definition widescreen 10 - finger multitouch display with CineCrystal technology and 1366 x 768 screen resolution. The resolution in this computing device is typical to entry level laptops therefore don’t expect this device to have a amazing display. This laptop does not have DVD and CD burner. 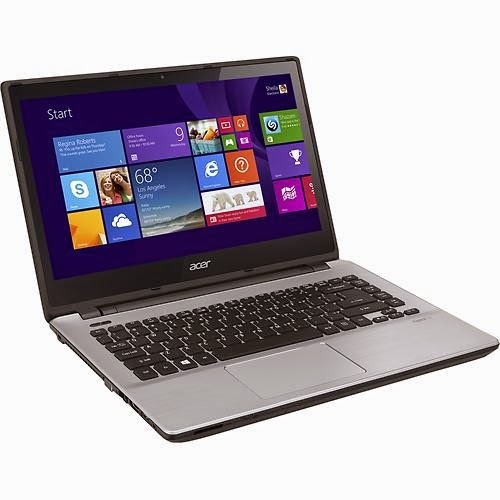 The Acer Aspire V3-472P-324J laptop PC also offers 4 GB DDR3L memory which is expandable to 16GB, 500 GB Serial ATA hard drive that spins at the rate of 5400 rpm, media control keys which allows easy operation, high - definition webcam with a built - in digital microphone, and digital media reader that supports Secure Digital format. 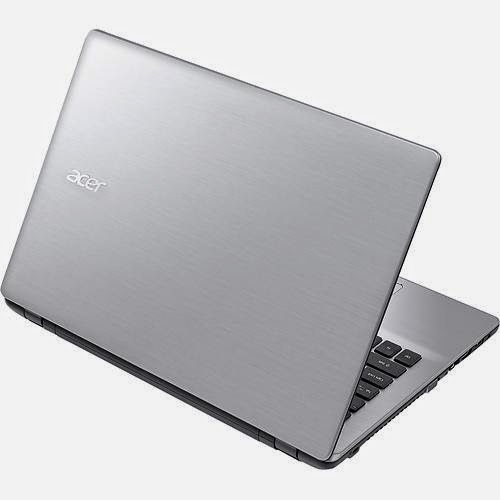 In terms of connectivity features, this Acer Aspire V3-472P-324J laptop comes with 1 USB 3.0 port and 2 USB 2.0 ports, dual - band 2.4 GHz and 5.0 GHz Acer Nplify wireless LAN (802.11 a / b / g / n), Bluetooth 4.0 interface, 10/100/1000 Gigabit Ethernet LAN, VGA and HDMI output ports. 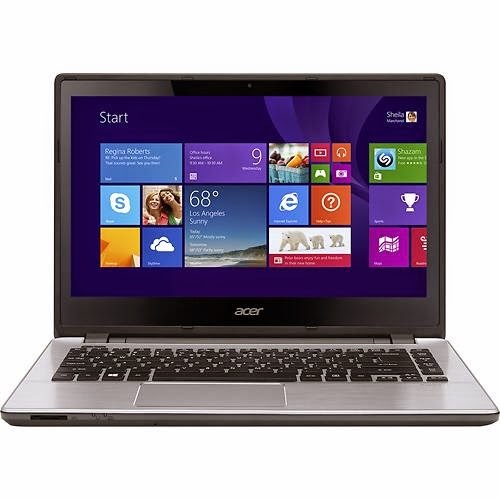 This Acer Aspire V3-472P-324J laptop is powered by Microsoft Windows 8.1 64 bit operating system. It has the following dimensions: 1.3 inches x 13.6 inches x 9.8 inches and weighs about 5.4 pounds. It is packed with 6 - cell lithium - ion battery with 5000 mAh capacity. You can get this laptop PC for just $ 379.99.